WOW! Our Zebra Print 1st Communion Candy Bar Favors are so cool! 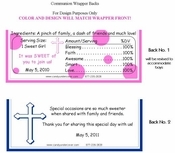 Your guests will love these Communion Wrappers! Zebra print is so trendy and "INN"! 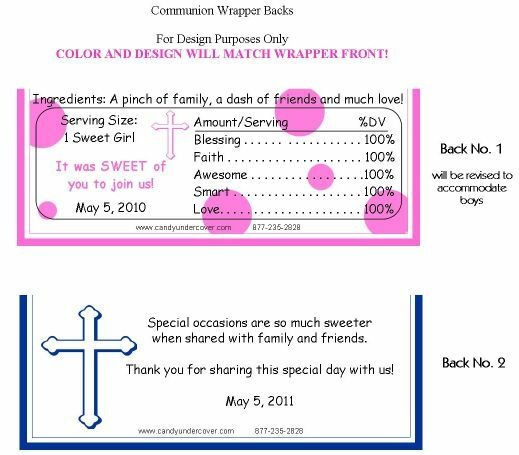 Complete with a pink cross and your child's name, these Chocolate Wrappers are amazing! They will look awesome on your party tables!